BMW excited about first Superbike appearance March 1st. BMW staff and fans of BMW are looking forward to seeing the BMW S 1000 RR perform at the first Superbike race of the season - this Sunday, March 1st. Prior to the race - testing went well (apart from Troy Corser hitting a bird at about 230 km/hr), now it's time to see it in action! * Troy had a collision with a bird early in the afternoon of day two. He was going about 230 kph, when he hit the bird and the force of the impact on Troy's left bicep was enough to wrench his left hand off the handlebars. Somehow, he managed to keep the control of the bike and not crash, but the doctors advised him to sit out the rest of the day. The bike is a bit of departure for BMW and features a 999cc in-line 4-cylinder engine. It weighs in at 183kg (dry) which, incidentally is slightly heavier than the Ducati 1198S that it'll be racing alongside with at 169kg (dry). The Ducati is said to produce 170bhp from it's 1198cc v-twin. Rumor is the BMW makes closer to 190bhp. Munich. 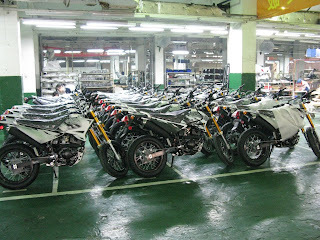 Staff and fans of BMW Motorrad are looking forward to March 1st 2009 with great excitement. At the introductory race to the Superbike World Championship in Phillip Island / Australia, two BMW motorcycles will be in the starting line-up for the first time. After recent tests in Portimao and Valencia, riders Troy Corser and Ruben Xaus are optimistic about the future and the mood in the BMW Motorrad Motorsport team is positive. The racing bikes will be fairly close to serial production models, allowing for the greater audience identification characteristic of the sport. 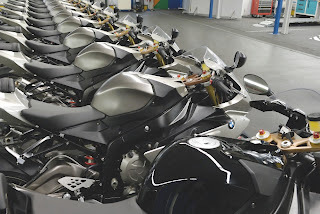 Behind the scenes meanwhile, production of the serial machine is getting underway: the BMW S 1000 RR. The package of this completely newly developed motorcycle with its 999cc in-line 4-cylinder engine is very compact and light. 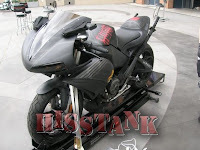 The dry weight of the motorcycle is 183 kg. Both its supreme performance figures and its outstanding riding properties make the BMW S 1000 RR an extremely attractive offer in the supersports segment. 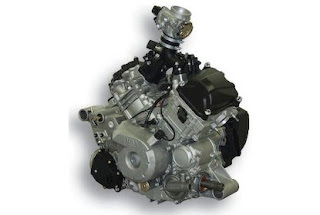 The engine has a very compact cylinder head and is narrow in shape. The valves are activated by means of very small, light cam followers, virtually at Formula 1 level in terms of their dimensions. This construction ensures very high engine speeds and allows maximum freedom in engine design in terms of torque and output. For the supersports bike BMW S 1000 RR, a completely newly developed sports ABS featuring four different modes as well as the dynamic traction control system DTC will be available. The functional principle of the traction control system has been borrowed directly from racing. The distinctive design of the S 1000 RR reflects the general style of the segment but also clearly represents the brand BMW. The new S 1000 RR will be available in the four finishes Mineral Silver metallic, Acid Green metallic, Thunder Grey metallic and – based on the BMW Motorrad racing colours - Alpine White/Lupine Blue/Magma Red. 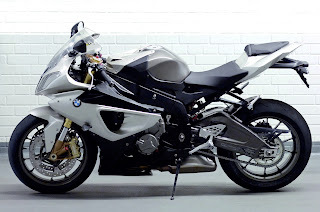 The serial production machine BMW S 1000 RR will be presented to the public in the early summer of 2009. The first race of the FIM World Superbike Championship is taking place this Sunday and will be aired on Speed TV. See below for the show times and dates for the first two races. Go to www.speedtv.com for ongoing listings. Should be some great racing! Enjoy! Motorcycle Experience is created with the help of our very good friends at Honda Canada,BMW Motorrad, Suzuki Canada, Yamaha Canada and Parts Canada. Host Dave Hatch enthusiastically endorses Thor, Icon, HJC and Alpinestars riding gear. Motorcycle Experience celebrates its 20th anniversary! And don’t forget to check us out on TSN 2… Sunday March 01 at 2:00PM and Thursday March 5th at 7:00PM. Coun. 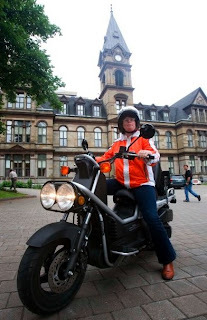 Sue Uteck wants motorcyclists to have free parking in downtown Halifax, Nova Scotia. She's not alone - she's got the signatures of 1,350 people who would like the same. 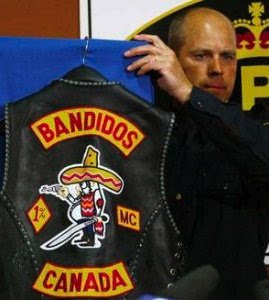 The petition was put together by a group called the Halifax Rewards Motorcyclists. Hmmm, Halifax Rewards Motorcyclists - a pretty obvious play on the acronym for the Halifax Regional Municipality, or HRM. This isn't the first time she's attempted to convince the Halifax Regional Municipality (HRM) that it's time to take action and allow motorcyclists to park for free in the downtown area. She tried in July of 2007 but her request "got ignored" she said. To some this may sound like a silly idea, but really, and Halifax certainly wouldn't be the first to do it. In October of 2005, the city of Toronto amended their parking bylaws to exempt motorcycles from paying for spots because of a changeover from meters to a pay-and-display system. Pay and display systems pose obvious challenges for motorcyclists as they have nowhere to display them without having them taken or blow away. Halifax is said to be considering the implementation of new pay-and-display spaces so now is the time to act on the issue. The councillor currently rides a Honda Big Ruckus model scooter. Let's hope the petition attracts some attention and makes the HRM take action! Note: Near as we can determine the petition isn't online and the "Halifax Rewards Motorcyclists" petition organizers don't seem to have an online presence but if you know more or we find out more - we'll let you know! After the hugely successful showing last year Ducati has plans to return to the Daytona International Speedway with "Ducati Island." The festivies begin this March 2nd. What does this all mean? It means lots of cool Ducati stuff basically; contests, prizes, sound off competition, stunt shows, Ducati University (you'll actually like this school! ), fashion show, plenty of Italian motorcycles, and lots more. 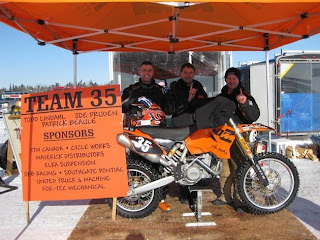 KTM CANADA – CYCLE WORKS TEAM 35 WINS NUMB BUM 24 HOUR ICE RACE! During the Valentine day weekend was the famous Numb Bum 24 hour Ice Race sanctioned by the Alberta Endurance Ice Racing Association (AEIRA). The Numb Bum took place in Sandy Beach, Alberta. In total, 42 teams entered the competition that started at noon on Saturday and ended at the same time Sunday. KTM Canada – Cycle Works Team 35 riders, Patrick Beaulé, Todd Lindahl and Joe Pruden were pumped and Ready to Race. The 14 km track was rough during the first couple hours due to the frozen slush cause by the previous week cool temperature but as it got colder the track got perfect. KTM Canada – Cycle Works Team 35, rode very well, fast and they were extremely consistent during the whole 24 hours. They were able to take the lead by the 8th hour mark and they kept it until the end. They had some great battles with other teams up to the 14th hour. After that time, they started to gain some time on the second team. KTM Canada – Cycle Works Team 35 crossed the finish line in first place with about a 7 lap lead on the second position. The team was really happy and excited about that race and it was worth a couple of frozen fingers. The Spring collection has arrived from KTM - just in time for winter if you're on the East coast! It's chilly out! All joking aside, Spring is on the way so if you're looking for some new orange-wear, best check this out. It's definitely not all loungewear - though there's plenty of that too. There's some technical garments for riding, and protective gear too. The number of items is too big to list - there's a bit of everything in there. True to the motto “New season, new style”, KTM again supplies the right item for every occasion. Offering everything from a great casual t-shirt with motocross print right up to the really hot new KTM Shoes, the Spring Collection offers a whole range of clothing with extremely high “style” factor. And those who are on the lookout for new offroad equipment will find just the right items in the Spring Collection to ensure they enjoy a safe 2009 season. The renowned Tech 8 Boots are available in a sporty white in this Spring Collection. Exclusively developed for KTM by manufacturers Alpinestars, they offer optimal protection for all areas of the foot, calf and shin. And even though there is a high safety factor, nothing lacks when it comes to comfort. Specially adapted “Flex Zones” at the instep and heel lift the level of comfort and control when taking a wild offroad ride. 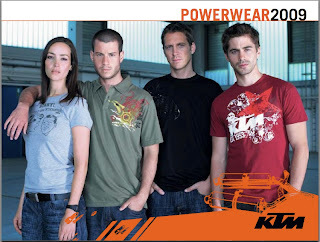 The KTM website says to look at www.ktmcanada.com for more details but after digging around on their site for a little bit I managed to track down their "PowerWear - 2009 Catalog" here. It's an 11MB PDF available for download. Motorcycle insurance is always a contentious issue amongst motorcyclists. How much do you pay? What coverage do you have? It's a regular, and frequently 'heated' topic of debate on most motorcycle forums. Insurance is just one of those things that you've got to have if you want to come to the party. So it's something that everybody knows a little bit about. 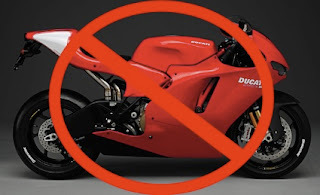 Unless you've got very deep pockets and don't care about paying thousands of dollars for insurance you should call around and find out how much it will cost to insure a bike BEFORE deciding to purchase it. It's been said there aren't any un-insurable risks. It just costs more! The Société de l'assurance automobile du Québec (SAAQ) have published a list of motorcycles that they consider "high risk." What does this mean? Well - we've not spoken with the SAAQ to ask them but we can only guess that it means that if you want to insure one of these high-risk motorcycles in Quebec that you're going to pay dearly for the privilege. Here's a link to the list - it's a PDF. What's surprising is that if you look at this list, there's plenty of very powerful bikes that aren't on the dreaded "high-risk" list. The Yamaha FZ1 ins't on the list for example. This 1000cc bike packs about 150hp - more than plenty of the bikes on the list. It is a little more upright though and perhaps typically ridden by more mature riders. Having had the recent experience of obtaining insurance for a 2006 VFR I know when I called ahead to see what insurance would cost the person at the insurance company said, one moment I'll have to get the list of bikes we don't insure. Hmmm, glad I checked ahead. The VFR isn't on the list but it would be pretty bad to find out a bike is going to cost you a small fortune to insure. Different provinces have different systems. Some have public insurance, some have private. Here in Nova Scotia we're free to shop around. That works for me. I recently moved from Winnipeg, and in the province of Manitoba they've got a public system called Autopac. I looked into insuring a 2002 Suzuki GS 500 hardly a super fast sportbike, when I was there for a year. What was the quote? Just about $2200. For that - I could have re-purchased the same bike in a little over three years with the premiums! So, be educated, be wise. If you're shopping for a bike - call around and ask for quotes on some models you're considering before you buy. What you find out might just help you make the right buying decision. The Parts Canada Superbike Championship has announced major changes to the rules for its Sport Bike support divisions and in 2009 will allow twin cylinder motorcycles from Buell and BMW to compete in the Sport Bike classes. They'll run to separate weight and horsepower limitations than their 600cc, four cylinder, opposition. Colin Fraser, of Professional Motorsports Productions, is quoted on the Cdnsuperbike website as saying, "Buell and BMW have both been great supporters of the national series and we think their presence in the Sport Bike classes will add excitement to two of the most competitive divisions on the tour." TORONTO, Ont. (February 20) – The Parts Canada Superbike Championship has announced major changes to the rules for its Sport Bike support divisions, opening the door for a range of new machinery to participate in the two classes. Starting with the 2009 season, twin cylinder motorcycles from Buell and BMW will be allowed to compete in the Sport Bike classes, running to separate weight and horsepower limitations than their 600cc four cylinder opposition. “Buell and BMW have both been great supporters of the national series and we think their presence in the Sport Bike classes will add excitement to two of the most competitive divisions on the tour,” said Colin Fraser of Professional Motorsports Productions, which organizes the Parts Canada Superbike Championship. In the Yoshimura Pro Sport Bike division, the twins must weigh at least 400 pounds and may deliver no more than 140 horsepower on the official series Dynojet Dyno. 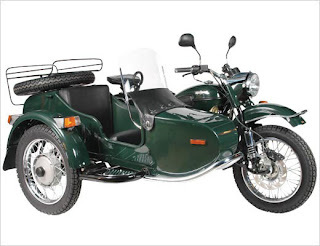 Minimum weight for 600cc fours is 350 pounds and maximum horsepower is 125. 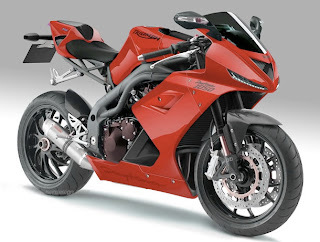 In the Armour Bodies Amateur Sport Bike category minimum weight is also 400 pounds for the twins while maximum horsepower is 135 hp, as opposed to limits of 350 pounds and 118 hp. Twins of 750cc and under and Triumph’s 675 triple were already eligible for the Sport Bike classes. The word “600” has been dropped from both class names to reflect these changes. The Sport Bike rule changes have been made in conjunction with the termination of the Canadian Thunder and Sport Twins classes. A division specifically for twin cylinder motorcycles was launched in 2005 and its champions included Darren James for Buell/Harley-Davidson, who won the title twice, former Canadian Superbike champion Michael Taylor with BMW and Italian Valter Bartolini, who won last year for Ducati. There are no plans to restart the class in the future. Deeley Harley-Davidson Canada launched a national Superbike program last year with its Buell 1125R twin cylinder Superbike, anchored by six-time Canadian Superbike champion Steve Crevier. The Maple Ridge, B.C. rider placed third in the bike’s debut. BMW Motorrad Canada has signed two-time Canadian Superbike champ Francis Martin to its 2009 line-up and hopes to join the Superbike ranks in 2010 with its S 1000 RR, which makes its World Superbike Championship debut in 2009. Additionally, Buell is now a full partner in the Parts Canada Superbike feature class and its TV coverage along with Yamaha, Suzuki, Kawasaki and Honda. Some new pictures have surfaced of KTM's new all electric motorcycle and are on display on the FIM website. Not sure you'd like an electric bike? Well, how do these numbers sound? The prototype weighs approximately 198 pounds, develops about 35 hp, and had 29.5lb/ft of torque. That's about 15 lbs less than KTM's 125cc enduro with the torque of a 250cc two-stroke that will be accessible immediately, in a bike that's lighter than a 125. With current battery technology it will run for 40 minutes at race pace before recharging. Production won't be for another year so you might see even better torque and battery life numbers come production time. It offers very quiet operation reportedly and will use a lithium ion battery. Not bad. But what about price? No reports on that just yet, but we'll let you know when we find out. The profile looks very slender, with the electric motor and battery pack neatly tucked where the engine on gasoline motorcycle would be. The engine group and battery are said to weigh 17kg. The original photographer of the pictures also indicates the presence of what looks to be a regenerative braking system. The bike seems to be running two 21" tires as opposed to the 21" front and 18" rear set up that's most common on internal combustion/gas enduros. Check out the left side handgrip too - no clutch lever to be found. * Images courtesty FIM website. The director is the same one who wrote and directed "Saint Ralph." Look closely in the trailer and you'll see lots of Canadian attractions. Like the giant goose in Wawa, Ontario. I believe that's Gord Downey of the Tragically Hip making an appearance too. I’ve always wanted to make a road movie. I love the serendipity that travelling without an itinerary allows. As well, I couldn’t recall a film that romanticized the feelings that I had for Canada. As one of the characters in the film says to Ben, “You live in one of the most beautiful countries in the world.” We’ve seen most of the rest of the world shot very beautifully. I wanted to do the same for Canada; to create a narrative that was also a love-letter to the country. 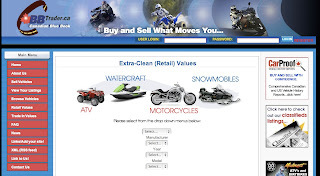 Here's an interesting Canadian motorcycle website called "Virtual Riding Television." It's a site created by a guy who obviously loves motorcycles, the site is self-funded and well, I'll just repost some of the comments from the site so you can get an idea of what it's about. It's definitely worth checking out! 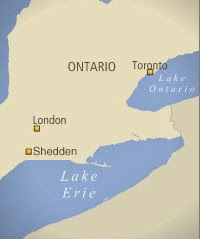 The little town of Shedden Ontario, previously most famous for being the "Rhubarb Capitol of Ontario," was the scene of a grisly discovery on April 8, 2006. Eight bodies were found in four vehicles abandoned on a farmer's property. The Rhubarb Capitol quickly gained notoriety as the site of Ontario's largest gangland murder. On Monday, jury selection is to begin at a London superior court for the trial of six men accused in the killings, which was the biggest mass slaying in modern Ontario history. The six accused were arrested more than two years ago and are each charged with eight counts of first-degree murder. Charged are Wayne Kellestine, 59, and Frank Mather, 35, both of Dutton-Dunwich, Ont., Brett Gardiner, 24, of no fixed address, Michael Sandham, 39, Marcelo Aravena, 32, and Dwight Mushey, 40, all of Winnipeg. Atlantic Motoplex - (A BMW, Ducati, and Yamaha motorcycle dealership) is holding their Monster 1100 launch party February 27th @ 8:00 PM. Call 506-383-1022 for further details. 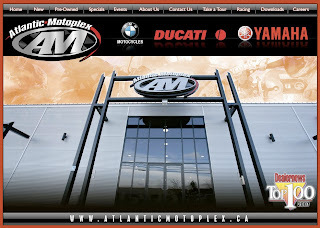 Atlantic Motoplex was founded under the name Atlantic Yamaha some 15 years ago with a transition to the name Atlantic Cycle for a few years than back to Atlantic Yamaha for 6 years. With the addition of BMW Motorcycles, Ducati motorcycles exclusive for Atlantic Canada, our large selection of pre-owned motorcycle, our huge apparel boutique and our new facility it was a natural step for the new and final name change to Atlantic Motoplex. The change marks a new chapter of growth of this exceptional dealership. The Montreal Motorcycle show opened its doors today. The show is reportedly the largest in Canada in terms of audited paid attendance and ranks among the major motorcycle shows in North America. Expect tons of motorcycles to be featured in a huge single hall with an area of more than 200,000 square feet. Displays will feature new models of motorcycles, ATV’S, scooters, custom and vintage motorcycles as well as the full spectrum of specialized clothing and accessories. For more details check out the event website here. The second episode of Motorcycle Experience will be airing on TSN and TSN HD this Saturday, February 21st at 11:30 am* (Eastern Time). - During the 2nd show of the 2009 season - Dave chats with a former World Enduro Champion when he pays a visit to a Shane Watts Dirt Wise off road riding clinic in Pontypool, Ontario. - Former national 600 Sportbike Champion Clint McBain discusses obstacle avoidance in blind corners. - Yamaha’s Bryan Hudgin looks at who’s “going green” during this weeks “Scooter Sense” installment. - Guest rider Dave Fox will sample BMW’s new twin cylinder, middleweight runner, the F650GS. - Dave and Norm ride out to Victorville during their ultimate ride in sunny southern California. We're giving away our first ticket to the Toronto International Spring Motorcycle Show being held April 4-5, 2009. What is the door show prize? - Hint, it's a motorcycle, but what kind is it? Click here to go the Toronto International Spring Motorcyle Show website or click on the banner link above to find the answer. 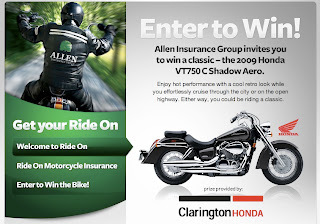 Ontario region insurance broker, Allen Insurance Group, is giving away a 2009 Honda VT750C to help promote their line of motorcycle insurance, known as "Ride On." The policy was developed just over a year ago and Allen Insurance claim it's tailored to cover virtually every type of rider and every type of bike to ensure the best coverage for every client. If you're an Ontario resident and looking for a new insurance company for the upcoming riding season, or checking out their rates it might be worth checking out! Here's the link to the contest site. Allen Insurance Group invites people to 'Get Your Ride On' by entering to win a Honda motorcycle online at www.getyourrideon.ca , where riders can also obtain online quotes. Running Feb. 2 to April 30, people are able to complete and submit the easy online entry form to win. The contest is open to all Ontario residents over the age of 18, and no purchase is necessary. Clarington Honda, a new Honda Concept Super Store located just off the 401 in Bowmanville, has partnered with Allen Insurance Group for the promotion. Allen Insurance Group is a family-owned and operated insurance brokerage that has been serving the insurance and financial needs of central Ontario for more than 100 years. Allen Insurance Group operates six branch locations, in Havelock, Trenton, Brighton, Cobourg, Campbellford and Warkworth. Yamaha Motor is forecasting a net loss of approximately $570 million Cdn coupled with a 22 per cent drop in worldwide sales for 2009. This would be the company's first net loss since since the last major recession in 1984. 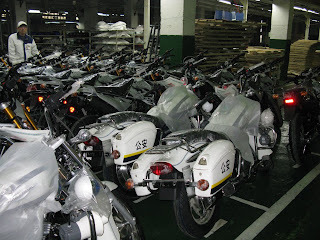 Reasons behind the projections for 2009 are said to be the rising yen's effect on Yamaha's export market coupled with the current global financial market downturn. The projections have forced the Yamaha Motor execs to make or consider some big cost cutting decisions. They're considering postponing a new test track and parts plant in Japan as well as putting the brakes on production expansion for a plant in Indonesia. The company is also cutting back executive salaries by as much as 20% for the remainder of the year. We've got 10 tickets to give away to the Toronto International Spring Motorcycle Show being held April 4-5, 2009. Keep an eye on the site because we'll going to be giving away all these tickets in the coming weeks. Check out our "Contests" page for full details. -> Great Shopping - Great Shopping! Fabulous Bargains! ATM's On-Site! Over 200 Exhibitors with rows and rows of accessory dealers. -> SHOWBIKES! BUILDERS! The Best of the Best Competing for Top Honours! $15,000 is up for grabs! Over 30 classes! Best Bike in Show wins $3,500 cash! -> New to motorcycling? Visit the Show to get information on rider training, licensing, and insurance. -> USED BIKE CLEARANCE SALE. Bargains on all makes and models in the USED BIKE MARKET! -> FEATURE DISPLAYS - Ontario's finest Motorcycle Clubs and Racing Organizations and the best of the Marque Clubs will show British, American, European and Asian Vintage bikes from around the world. If the crowds of people in attendance are a measure of success then it appears the Atlantic Motorcycle & ATV Show was a BIG success. The exhibitor spots were sold out and the place was packed wall to wall with all the most exciting motorcycles on the Canadian market. All the big manufacturers were there, and even plenty of the smaller ones, and some you've probably never heard of too. *Click the image for a larger version. The RC8 from KTM. It's hard to believe but it looks even better in person than it does in pictures. If you ride this on the street you're going to get tickets and people are going to be following you around to talk to you when you stop. It looks amazing! The new rocket ship fast, buttery smooth K1300GT from BMW. This model features the Japanese style signal switches which are located on the left. No more right handed right turn signal. An Ad Bovin equipped BMW 450 Enduro. This might be just the ticket to extend the riding season here in the Great White North. 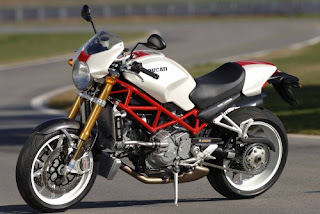 Because the 1098S just wasn't good enough Ducati brings us the larger displacement 1198S. Better sign up for some track days if you're getting one of these! The 2009 ZX6R that went on a big diet and lost an incredible 20lbs. And oh yeah, about 8 more horsepower too. Get ready to see plenty of these on the roads and trails near you this summer. The new, long awaited, BMW F800GS is here. The new Suzuki Gladius. 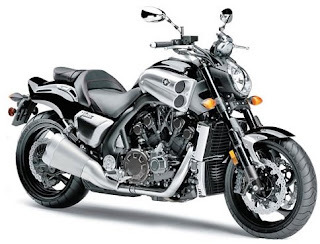 It'a mid-sized naked featuring the ever popular SV650 v-twin engine. New for 2009. The KSM200 is Konker Motor's (a Langley BC based company) first street legal motorcycle. Featuring a 200cc engine built in a Suzuki partnered factory - it's said to be the same engine as the Suzuki DR200. Coming soon to a dealer near you! If you were like me and were out at the motorcycle show in Moncton this past weekend, or maybe you were out doing romantic Valentine's day things?, you probably missed the first episode of Motorcycle Experience on TSN. During the first show of the season - Dave checks in on the Honda CBR125R National Challenge series. - Former national 600 Sportbike Champion Clint McBain talks about your annual spring riding preparation. - Yamaha’s Bryan Hudgin intros a new 2 wheeled “going green” segment entitled “Scooter Sense”. - Guest rider Ellen Foster will sample an all new power cruiser, the Yamaha V-Max. - Dave and Norm kick off another ultimate ride in sunny southern California. In celebration of our 20th anniversary this season Motorcycle Experience will be giving away a brand new Yamaha BWs125 scooter! Just log onto our program website at www.motorcycleexperience.ca and click on the Scooter Sense “Less Is More” hot link for all the contest details and learn more about your chance to win a new set of wheels. The KYMCO Canada website has officially been re-launched. Having spoken to the KYMCO Canada folks at the motorcycle show in Moncton NB on February 14th - we're told that KYMCO Canada is placing a renewed emphasis on the Internet and reaching out to customers via this important medium. The new website features easy navigation, details on their on and off-road models, general information on how to get into scootering (including links to licencing information for each province), dealer locators, etc. They've even launched an official KYMCO Canada group on Facebook. 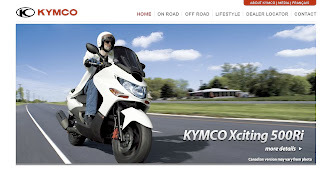 KYMCO Canada Web Site Re-Launches! an easy to navigate experience. on road products, our off road products, or general information on how to get into scootering, visitors will find what they need with ease! And our new and improved dealer locator makes it easier than ever to find an authorized KYMCO dealer in your area. www.kymco.ca and tell us what you think! 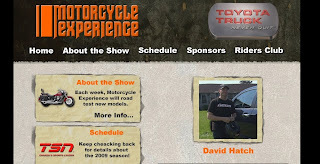 Motorcycle Experience - first episode this Saturday! As a sure sign that Spring is on its way we got a friendly reminder email from the folks who produce THE "must watch" motorcycle show - Motorcycle Experience. They're celebrating the anniversary of their 20th season this year by the way! First episode airs this Saturday February 14th. Don't miss this first episode - looks like it's going to be a interesting one. The 20th season of North America’s first and longest running televised motorcycle magazine show, Motorcycle Experience will premiere this Saturday morning on TSN and TSN HD. We've gotten our hands on some production photo's of Konker's new KSM200. The KSM200 is the newest (and first) street legal motorcycle from Konker for the Canadian market. It's a supermoto styled model with a 200cc engine. The engine is built in a Suzuki partnered factory and comes with a full one year warranty. From these photo's we got you can see the Konker machines are right along side some Suzuki models. I'm not familiar with the Suzuki model - looks to be for police duty maybe and from what I can see in the picture it's a "WindStorm." Must be an Asian model. The engine of the KSM200 is said to be the same as you'd get in the tried and true Suzuki DR200. That means it'll be a 200cc single cylinder four stroke. Given its lineage, the engine should be VERY fuel efficient and durable. The super-moto can be gotten with a bolt on 21" front / 18" rear wheel kit that comes complete with drum brake, rotor, and sprocket. So you'll be able to quickly convert the SUPER-MOTO into an off-road enduro without the hassle of switching brakes, discs, or sprockets. The O.E.M. off road 21/18” bolt on tire package is available for just $495. One very nice feature of the Konker KSM200 - it'll have a price of only $2,995. 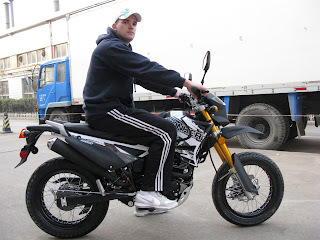 Konker Motors is a Langley BC based company that manufactures Dirt Bikes, ATV's, and street legal scooters from China and distributes them to qualified distributors/dealers across world. Here's the pictures - click for a larger version. There's also a YouTube clip of the bike in action on a track - Taken Sunday Feb 9th/09. For more News items involving Konker Motorsports check out all our Konker posts here. This Saturday, February 14th is ladies night at the Atlantic Motorcycle and ATV show being held in Moncton, New Brunswick. This means that on Saturday night from 5 pm to 9 pm if you buy one admission you get one free! 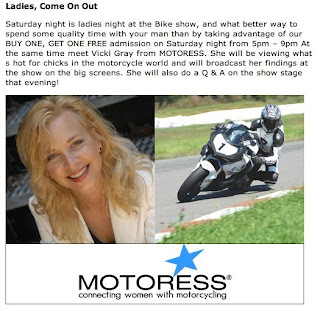 During that same time frame Vicki Gray from MOTORESS will be on hand to tell all the ladies what's hot in the motorcycle world right now and she'll be broadcasting her findings at the show on the big screens. She will also do a Q & A on the show stage that evening! Vicki Gray is a motorcycle racer, instructor, coach, and columnist who has been riding since 1983. She also introduced the now globally participated in campaign, "International Female Ride Day" a day where women just ride. Vicki takes her over 25 years of experience, applying it to an even broader mission. MOTORESS... Connecting Women With Motorcycling! There's going to be lots to see at the event which has sold out of exhibitor spots. If you're not attending during the Ladies night portion of the event and just want to get a buck off of regular admission, make sure you print your coupon. Victory motorcycles have a new strategy for the slowing economy - a 5 year warranty on all new Victory motorcycles. 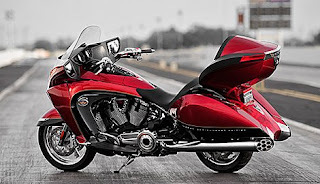 2008 sales were down 17 percent compared to 2007 so Victory starting thinking about ways to sell more motorcycles. The offer is valid in Canada and the US only, and only for a limited time. It's transferable and provides full coverage for any new and unregistered motorcycles sold since Jan. 1, 2009. The warranty is basically a 4 year extension through Polaristar ESC coverage tacked on to the Victory factory 12-month limited warranty. A deductible of $50 with unlimited mileage applies to claims under the Polaristar ESC warranty. The POLARISTAR ESC will be mailed in six to eight weeks from receipt of purchase. Victory Motorcycles is offering the motorcycle industry's only full-line, five-year limited warranty and it's available on all new Victory bikes sold through its national dealer network. In ten years, Victory Motorcycles has made its mark on the industry by creating a class-leading, full-line of premium cruisers and touring motorcycles based on creative styling and innovative engineering. Featuring a total cost of ownership that is 22 percent less than the cost of a similar Harley-Davidson over a five-year period, Victory Motorcycles are not only attractive on the road, but built to ride for many worry-free miles. Low-maintenance, high-horsepower and enduring reliability have been the backbone of the Victory Motorcycles brand for a decade. With more than 50,000 units sold, Victory Motorcycles has proven itself in the marketplace and is poised for continued growth. "The Victory Motorcycles brand translates into tremendous value for our owners," says Mark Blackwell, vice president of Victory Motorcycles. "Our resale value is in line with the industry leader, and Victory is at the top of consumer satisfaction charts with a 95 percent owner's satisfaction rating. We work hard to ensure every Victory Motorcycle is built to our highest standards. The new extended warranty is our way to share the confidence we have in our products." The limited time offer and transferable warranty program is valid for any new and unregistered Victory Motorcycle and is a full-coverage program inclusive of the whole motorcycle. Motorcycles sold after January 1, 2009 will be retroactively included in this program. Looks like if you want to drive a three-wheeled vehicle without a motorcycle licence in Quebec, you'd better have two of those wheels in the front. The Société de l'assurance automobile du Québec (SAAQ) have just allowed holders of Class 5 (Automobile) driving permits to drive the Campagna T-REX or V13R three-wheel vehicles. In the past, a driver/rider needed a Class 6 (motorcycle) permit to operate these machines. No word yet from the SAAQ but the ruling doesn't appear to apply to other three wheeled vehicles like the Can-Am Spyder and Harley-Davidson Tri-Glide which have one wheel in the front and two in the back. So it seems you still need a motorcycle licence for these machines. The T-REX features a 200+ hp engine from Kawasaki, a tubular top structure, windshield, safety belts for added safety, and a price tag of $50,000. The manufacturer expects to sell double the number of models in 2009 as in 2008, or over 200 units. For additional details on the Campagna T-REX visit their website here. Jeremy Lusk, an American freestyle motorcross rider, died from injuries sustained during a failed back-flip attempt in competition on Saturday. The injury resulted from under rotating the flip and landing on his head. He died on Tuesday from what Jorge Ramirez, chief of the intensive care unit at Calderon Hospital where Lusk was taken, said was severe brain damage and a possible spinal cord injury. 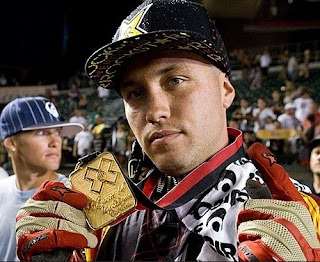 Lusk was a gold medal winner at the 2008 X Games. 2008 was a year filled with success for the 24 year old. He won freestyle gold at the X Games and silver in Best Trick when he landed the first double-grab Hart Attack backflip. He won a bronze helmet in Freestyle at the Moto X World Championships in his hometown of San Diego. Thinking about selling a motorcycle? Sometimes it's difficult to know just what your pride and joy is worth on the market. Likewise, when you're looking to buy a used motorcycle you want to be sure you're not paying an inflated price. Finding out the fair market value of a motorcycles used to require lots of research or maybe a paid subscription. Maybe you'd scour the Internet classifieds, browse through newspapers, check out some magazines, or ask some friends to try to figure out a ballpark number. Well, the times they are a'changing and you can now get FREE definitive pricing information - the same source that dealers of new and used motorcycles use - from the Canadian Blue Book on www.CBBTrader.ca. CBBTrader.ca's parent company is All Seasons Publications Ltd., publishers of the Canadian Blue Book. With over 65 years combined experience in the powersports industry, we want to share, educate and empower you to make informed decisions when buying or selling your powersports vehicle. You can look up Canadian Blue Book retail and trade-in values, list a vehicle for sale or browse vehicles for sale for FREE. The folks at LIFE magazine have teamed up with Google to offer a massive, searchable database of Time-Life's historic photos. This isn't strictly motorcycles by any means, it's a collection of 10 million historic Time-Life photo's, which just so happen to include tons of historical motorcycle photography. There's countless amazing photo's and accompanying information. Be prepared to spend some time exploring this site if you enjoy motorcycles, history, or photography in any combination. 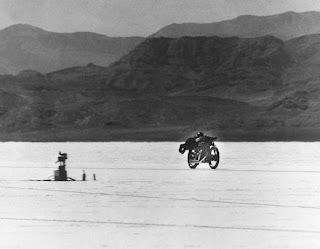 A search for motorcycles brings up some really great historical photo's like this one for example, it's a photo taken in 1953 in Bonneville. The rider is stretched out to minimize his aerodynamic drag while riding the fastest motorcycle in the U.S. This is a simply fantastic site! Here's the link. It wasn't long after we posted the news about a rumored BMW maxi-scooter that a rather good looking mock-up photo was published on the Internet from Oberdam Bezzi Design. It's still just a mock-up at this point and strictly Internet rumor as to whether it'll be built but it's unlikely that BMW will ignore sales trends. Maxi-scooters are growing in popularity so a BMW model to fill the gap in their offerings doesn't seem far fetched. While I'm a little more partial to the K1300S or a F800GS the practicality of a vehicle like this can't be ignored. To BMW I'd say - "Build it and they will come." Photo from Oberdam Bezzi Design. The huge spike in gas prices last summer got many people thinking about motorcycles and scooters as a means to improve fuel economy and reduce their transportation costs. This apparently got the people at Consumer Reports to do some motorcycle testing for the first time since 1981. Consumer Reports has long been considered a trusted reviewer of just about everything - from digital cameras to cars. So, having them report on motorcycles and scooters will likley help some folks in making the purchase decision. The group of machines tested wasn't really that large - just 8 in total. They concentrated on small-displacement models that featured excellent fuel economy. Three 50cc scooters, three scooters in the 125cc to 150cc range, and two 250cc entry-level motorcycles were selected for testing. The Vespa LX scooter managed to take top honors in the smallest 50cc class but performed well against the slightly larger 150cc competitors too where it tied with the KYMCO People for the win. In the 250cc class, the Kawasaki Ninja won out over the Honda Rebel to earn the recommendation. Full results can be seen online now if you're a subscriber and the article will be published in the March 2009 issue of Consumer Reports. YONKERS, NY ― Fueled by painfully high gasoline prices, 2008 saw many consumers looking for new alternatives to big-bucks fill-ups at the pump. With rising interest in lower-priced two-wheelers that sip rather than guzzle gas and thousands of new riders on the road, Consumer Reports has tested small motor scooters and motorcycles for the first time since 1981. Consumer Reports tested a total of eight fuel sipping, small-displacement models: three 50cc scooters, three scooters in the 125cc to 150cc range, and two 250cc entry-level motorcycles, all priced between about $1,000 to $4,400 and delivering as much as 60 to 100 mpg fuel economy, at a steady cruise. Among the scooters, models from Italy's Vespa and Taiwan's Kymco achieved the highest overall ratings, with the Vespa LX 50 leading the 50cc category, and the Vespa LX 150 and Kymco People 150 sharing best overall ratings in the bigger engine class. 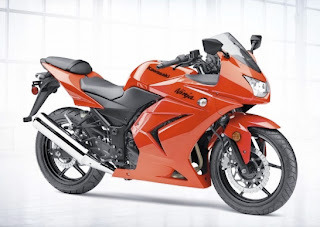 Among the motorcycles, the Kawasaki Ninja 250, an entry-level sports bike, achieved a higher score than the Honda Rebel. "When fuel prices crossed the $4.00 per gallon mark, some consumers shifted gears and two wheels became a cost-saving alternative," said Rik Paul, automotive editor, Consumer Reports. "And, despite current low gas costs, interest in scooters and motorcycles may continue to increase, especially in urban areas where parking space is at a premium. With their 35 to 40 mph top speed, 50cc scooters may suffice for short trips in suburban and city riding. Of the three models tested, the Vespa LX 50's smooth four-stroke engine, good ergonomics, controlled ride quality, and solid fit and finish made it the favorite choice, but it is very slow. Testers found that "you get what you pay for," with the inexpensive $995 Motorino Allegra getting the worst marks for vibration, harsh ride, and subpar fit. In the 125cc to 150 cc category, the tested models' top speed range of 55 mph to 57 mph made them much better suited for keeping up with traffic but still not recommended for freeway or interstate use. The 150cc Kymco People and Vespa LX both proved well-rounded, easy-to-ride machines, with responsive handling and easy maneuverability. With its big 16-inch wheels, the Kymco offered superior stability and off-the-line acceleration while the Vespa excelled in ride quality, roominess, under-seat storage, and build quality. The third model tested, the Yamaha Vino 125 could not match the other two models' ride experience. While offering the lowest price point at $2,899, the Yamaha's harsh ride and sluggish engine detracted from its cost benefit. Of the two 250cc motorcycles tested, the Kawasaki Ninja 250 was the clear winner, outperforming the Honda Rebel 250 in most categories. With its agile handling, and slick-shifting 6-speed manual transmission, this entry-level motorcycle is an excellent choice for individuals who want to combine low cost of ownership with a more performance-focused ride experience. Agile, stable, and refined yet brisk, the Ninja also had the best braking performance of any model tested. Compared with scooters, which have easy-shifting automatic transmissions, step-through designs, and handy under-seat storage capacity, motorcycles, however, are less practical and their manual transmissions and higher performance require more skill to handle well. Like Consumer Reports in-depth auto testing process, scooters and motorcycles were subjected to an extensive sequence of standardized tests to determine their performance in categories such as acceleration, braking, fuel economy, noise/vibration, top speed and comfort. To evaluate ride, handling and everyday liveability features, the staff designed a new 5.2 mile testing route, including stops and starts on hills and a variety of tight turns, utilizing the Auto Test Center's multi-surface, multi-grade facility. New testing procedures were also added to accurately evaluate the machines' response to common urban riding situations, such as the ability to quickly and safely accelerate through an intersection. "Scooters and motorcycles can be a fun, fuel-sipping alternative for everyday commuting and they are certainly an enjoyable recreational choice, but consumers also need to consider their limitations," said Paul. "Proper protective gear is essential, especially in inclement weather. Even a moderate 40-degrees F temperature can feel like sub-freezing wind chill to a rider." And, says Paul, professional instruction to finetune defensive riding skills, such as a course offered through the Motorcycle Safety Foundation, is a must for new riders as risk of serious injury is significantly higher than in a car or truck. BMW maxi-scooter in the works? We love Internet rumor! There's some new gossip spreading around that BMW is currently working on a scooter for 2010. Maxi scooters are big sellers, particularly in Europe, where they're some of the best selling machines. It seems that BMW may want a piece of that action. The new scooter will be throughly BMW'esque, some hint it may even feature paralever suspension. Hmmm, that would surely give a pretty hefty price tag. I'd be surprised to see them use this system. 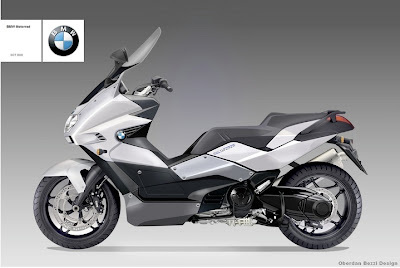 It's said that BMW will use the Rotax v-twins with 500cc, 650cc, and the big one - the 800cc. Power will range from a sedate 33hp all the way up to 800cc. They're liquid-cooled, fuel-injected four-strokes that make use of counter-rotating crankshafts to reduce vibrations. Transmissions would almost certainly be continuously variable. Reworking the engines so that they'll work for a scooter configuration on the swingarm will take considerable effort. There doesn't seem to be any pictures to show at this point but we'll keep looking. 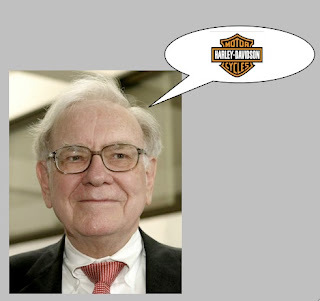 Billionaire investor, Warren Buffet has agreed to buy $300 million dollars of HD debt in exchange for a 15% interest. Harley Davidon's largest shareholder, Davis Selected Advisers LP, also committed to buy $300 million of debt too. The combined $600 million of senior unsecured notes will be used to fund Harley-Davidson Financial Services. Harley gained $1.87, or 16 percent, to $13.73 at 4:02 p.m on the news in New York Stock Exchange composite trading after earlier reaching $14.55. This represents the biggest gain in the stock since November 2008. The motorcycle maker has lost about two-thirds of its market value in the past year. Berkshire advanced $1,100, or 1.2 percent, to $90,500. Berkshire is Warren Buffet's holding company that owns subsidiaries engaged in a number of diverse business activities. One share will set you back a cool $90,300 as of this writing. 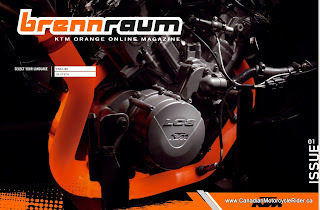 KTM has a new quarterly online magazine that just launched. It's called "Brennraum" - which must be German. It's said to stand for "Combustion Chamber." The first issue looks great and features stories about the 2008 Roof of Africa Rally, Indoor Enduro Racing, news about the Dakar, and details on various KTM models of course. Best to look at it when you've got some time as it takes a little effort to navigate around. You be the judge of whether it's worth it or not. Looks pretty good to me, but then again, I am partial to orange! Me, I just hope they bring that 990 Supermoto T to Canada. This preview makes me want to see one in the flesh even more! Here's the link to the first issue. You can subscribe to have the issues delivered directly to your Inbox. There's still a few weeks of winter left here on the East Coast of Canada. I know because I can barely see over the snow I've shoveled out of my driveway! Having said that, it's certainly never too early to start planning for spring! Spring means motorcycles and the Toronto International Spring Motorcycle Show is going to help you start the season off right! Mark your calendars and set aside April 4th and 5th. Or just keep an eye on our Calendar page. We might even have another 'Ticket Giveaway Contest' for this event too so all readers who'll be in Toronto during those dates - Stay Tuned! Spring means one thing to motorcyclists – taking the bike out of storage and getting ready to hit the road. Whether it’s for commuting, weekend rides or plans for that big road trip there’s a sense of purpose for riders once the snow melts. The Spring Show, presented by Mantha Insurance and taking place April 4 & 5 at the International Centre, is timed perfectly to provide a one-stop shopping opportunity for all motorcyclists. New 2009 model motorcycles on display include touring and cruising bikes, street bikes, offroad bikes, scooters and there will also be great deals on non-current models. The giant Used Bike Clearance Sale is a hot spot for anyone shopping for a bike, with a vast array of all makes & models. For new riders, the Show offers information on Rider Training, licensing and Insurance, plus vendors will offer advice on starter bikes and proper riding gear. With over 30 motorcycle clubs exhibiting, there’s a riding club for every type of rider to join and charity rides to add to the riding calendar. Showgoers can check out features such as the Fashion Shows by On the Fringe, and the Spring Used Bike Market. With 4 huge Accessory Superstores, Toronto area Dealer displays, independent retailers, used parts vendors, and more, the Spring Show’s vendors promise an unequalled assortment of products for all riders. Noted motorcycle author and Journalist, Max Burns, will be a featured guest as well as author Michelle Duff, to sell and talk about their latest books with fellow motorcyclists. The Canadian Motorcycle Heritage Museum will feature a display of significant bikes from the SUPERSHOW Collection, alongside the Canadian Motorcycle Hall of Fame and the Motorcyclists Confederation of Canada. Over 30 clubs & associations display bikes and promote their 2008 rallies, charity rides and events, and membership drives at the same time as they share their passion for riding with the attending public. The Showbike Builders Competition will see top customs competing for over $15,000 in cash. From vintage and touring bikes, to street bikes and wild customs there are over 30 classes in the competition. Expected are some wild creations from some of Canada’s top builders and shops vying for the top prize. This year’s Door Prize is a new Suzuki DR-Z125 motorcycle provided by Suzuki of Newmarket, to be drawn on stage, Sunday, April 5th at the Show. Admission to the Spring Motorcycle Show includes a complimentary copy of International Motorcycle Magazine and a half price admission coupon to the Classic Car Auction, happening next door in Hall 3. The Toronto Spring Motorcycle Show runs Saturday, April 4th from 10am to 9pm, and Sunday, April 5th from 10am to 5pm. The International Centre is located at 6900 Airport Road. Admission is $15 for adults, $5 for youths under 12, free for children under 6, and parking is free. The North American International Motorcycle SUPERSHOW Inc. (SUPERSHOW) is pleased to announce the acquisition of 50% of its corporate shares by Richard Kehoe Productions Ltd. The Motorcycle SUPERSHOW 2010, held at the International Centre in Toronto, January 8, 9, 10, 2010, and now in its 33rd year, will be jointly produced by Bar Hodgson Productions Ltd. (BHP) and Richard Kehoe Productions Ltd. (RKP). All aspects of the SUPERSHOW's production remain the same utilizing the SUPERSHOW's long-standing on-site staff, while the addition of RKP's staff will expand the current sales, production and promotional team. Richard Kehoe, President of RKP, stated, "We're very pleased to have the opportunity to assume an ownership position in North America's largest motorcycle Show. Our goal is to deliver positive changes into future SUPERSHOWS and we look forward to the challenge." Bar Hodgson, President of BHP, stated, "the addition of RKP's staff will provide some very exciting opportunities for future SUPERSHOWS. With expanded sales and production staff we will be able to provide increased attention to the needs of the SUPERSHOW's exhibitors while delivering additional Show content for the Show attendees." This share acquisition reinforces the alliance between Bar Hodgson Productions and Richard Kehoe Productions to create the largest powersports media group in Canada whose holdings include the largest motorcycle and snowmobile shows in North America in addition to motorcycle, motocross, ATV & snowmobile magazines. The 2009 Edition of the Motorcycle SUPERSHOW was an overwhelming success, delivering over 50,000 motorcycle consumers to exhibitors who reported very strong motorcycle and accessory sales. Forget about roses, nothing says "I love you" like tickets to the Atlantic Motorcycle show being held in Moncton, New Brunswick this February 13-15 at the Moncton Coliseum. Don't think the significant other will go for it? Better start thinking up some good excuses now because the Moncton Coliseum is the place to be this Valentine's Day! Over 15,000 Motorcycle & ATV enthusiasts poured through the Moncton Coliseum Complex during the first Atlantic Motorcycle & ATV Show last February and it'll likely be a big crowd this year too. All the major manufacturers are going to be there and they'll be bringing along some of their latest and greatest machines to check out. Who know, you might even get to have a seat on your favorite new bike. For more information, and a coupon for $1 off admission, check out the event website here. TORONTO, ONTARIO - The Canadian Off-Highway Vehicle Distributors Council (COHV) as a member of the National Trails Coalition (NTC) is pleased to learn that, in its 2009 budget, the Government of Canada is injecting $25 million into the construction of trail infrastructure across the nation. New trail infrastructure provides a safe venue for a variety of trail users and creates a local economic development opportunity, particularly in rural and northern Canada. "The National Trails Coalition was founded in 2007 in the belief that trail users and volunteer trail builders/managers can achieve much more by working collaboratively and supporting each other's goals," stated Bob Ramsay, President of the COHV. "That is the spirit in which we developed and submitted United for a Stronger Trails System to the Government of Canada and the announced $25 million in federal funding will significantly increase the level of trail building in the coming year and it will create a heightened level of cooperation among trail user groups as they rally behind a common purpose." The responsible use of off-highway vehicles (OHVs) is of great interest to the COHV, its member manufacturers such as Arctic Cat, BRP (Can-Am), Honda, Kawasaki, KTM, Polaris, Suzuki, Yamaha, their distributors and the not-for-profit ATV and Off-road motorcycle rider federations that have developed across the country. COHV works closely with the national All-Terrain Quad Council of Canada (AQCC), the national Motorcyclists Confederation of Canada (MCC) and provincial ATV and off-road motorcycle rider federations to develop and expand core values through initiatives that offer solutions to concerns related to respecting private landowner properties, responsible environmental practices and rider safety and training. "Our vision and that of our rider clubs and federations is one of a comprehensive linked, multi-use trail network developed through partnerships with all stakeholders," commented Ramsay. "With health and physical fitness being top of mind for most families and for the health care system in Canada, we believe this is a great opportunity for all stakeholders to prove that being out on the trails, whether through non-motorized or motorized recreational use, is not only fun but contributes to individual and family well-being. The Canadian Off-Highway Vehicle Distributors Council (COHV) is the bilingual, national not-for-profit trade association that represents the responsible interests of manufacturers and distributors of all-terrain vehicles and off-road motorcycles in Canada. Together, over three million Canadians ride an ATV or off-road motorcycle on a regular basis each year. Find out more at: www.cohv.ca. 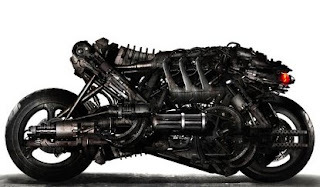 Motorcycles - A key to movie success? This isn't news... it's more a general interest blog post. It seems that just about every movie coming out lately that wants to target the male demographic (maybe there's a specific age range too? - I don't know). The newest installment in the Terminator series, featuring Christian Bale will have some new bad dudes. They're Mototerminators! The film is set in post-apocalyptic 2018. The mototerminators are apparently sent by Skynet to round up the humans. Don't think too much. 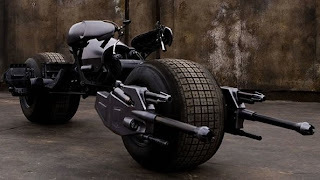 The bikes supposedly defy the laws of physics with their low-mounted machine guns acting as counter-balancers as the bike leans. It IS a movie. Yup, they're making a movie based on G.I. Joe and it's set for an August 2009 release. Rumor is (according to Hisstank) is that Snake Eyes will have a Buell 1125R custom fitted with some samurai swords and pistol holders in the place of rear view mirrors. Thanks to Hisstank for the photo. If true, it'll be the second movie coming in 2009 featuring Buell's. Transformers II is also said to feature a female transforming Buell. It's not in the currently showing trailer though. This movie features Jim Carrey as Carl Allen, a guy being challenged to "yes" to everything which leads to him learning to ride a motorcycle. Not just any motorcycle mind you, a Ducati Hypermotard. Didn't see this one. I don't think a Ducati Hypermotard cameo is enough to get me interested. I guess Christian Bale likes motorcycles. Bale plays the role of Batman and he gets to ride around in the "batpod." But, actually it's not Bale riding the motorcycle. A single stunt rider was the only one able to be able to ride the thing. Looks pretty cool even though it's practically un-ridable. This one features Brad Pitt, a well known motorcycle enthusiast. He's even building a race track at his new house supposedly! And was recently quoted as saying he loves the anonymity of riding a motorcycle. The movie is about "a man who starts aging backwards with bizarre consequences." Haven't seen this one yet but it was nominated for 13 Oscars. I'm sure there's quite a few I've left out so feel free to comment about your favorites. I have no doubt there will be plenty more movies coming out featuring motorcycles as they seem to be riding a wave of popularity in Hollywood at the moment. I say "how about a good movie ABOUT motorcycles?!" Internet rumor is growing about a new model for Triumph. 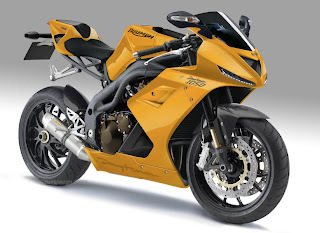 Rumor has it that Triumph is working on a new 1050cc Triumph Daytona! Please say it's true! There are pictures of said rumored bike floating around too. Word is the pictures are photoshopped but if Triumph makes this bike I can see them selling a lot of them. We're not one to quote Paris Hilton, but this thing is hot! That passenger seat doesn't look very comfortable, but hey, you won't be riding on the back now will you? Clearly if Triumph were thinking of producing such a bike they'd have to make some changes. Namely, those impossibly small headlights. Performance/luxury automotive companies such as Porsche and Audi are using similar styled lights but (correct me if I'm wrong - or comment below) they're just used as daytime running lights and/or turn signals on those models. Still, even if they did have to update the lights it'd still look great. *If you know the official source of the photos let us know. They do have a watermark but we can't read it. Plus, they may have been added later.